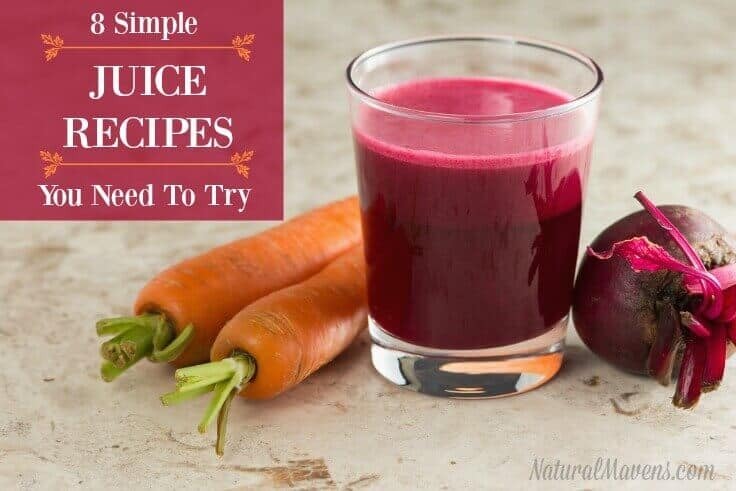 Regardless of whether you are new to juicing, or a seasoned veteran, there are some simple juice recipes that everyone needs to have in their repertoire. 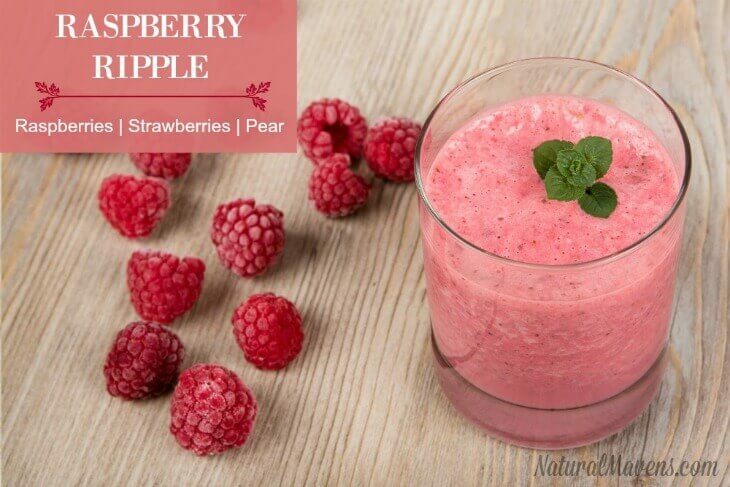 These are those recipes that you will always fall back on because not only are they simple, but they taste great, use few ingredients and pack a health punch. I would encourage you to give them all a go. Start with the ones that instantly grab your attention and work your way through the list. Before juicing, check out my juicing tips here for best results. In particular make sure to wash your fruit and vegetables properly before getting started. All recipes are enough for 1 generous serve which makes it easy to scale up for more people. Now onto the recipes. Here’s the list- you can click on any link and jump ahead. A delicious combination – earthy and zingy all in one. 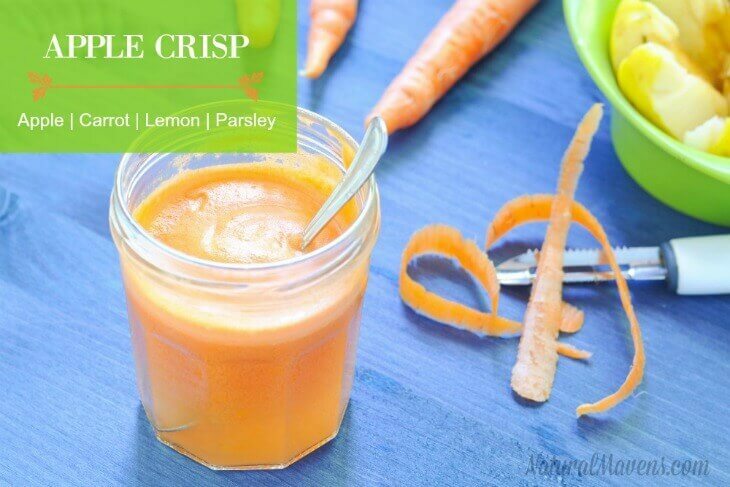 Packed with beta-carotene, vitamin C and minerals, this juice is a perfect day time energy booster. 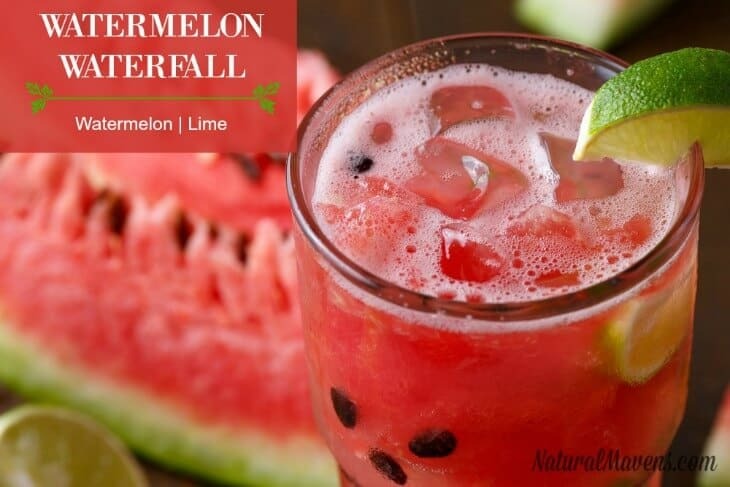 Remove watermelon flesh from rind (keep the seeds – they are nutritious too). A savory beauty full of goodness. 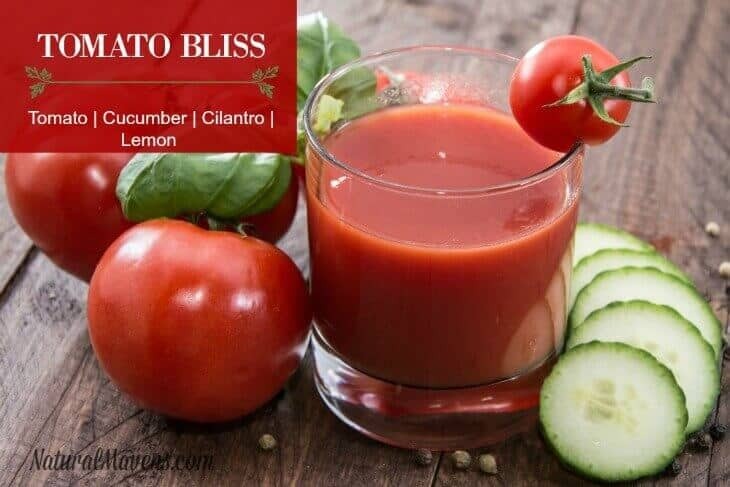 Tomatoes are a great source of cancer-fighting lycopene, while cucumber and lemon are cleansing. Sweet with a touch of zest. Juice everything together and stir. Allow raspberries to thaw until just soft. Juice all ingredients and stir. 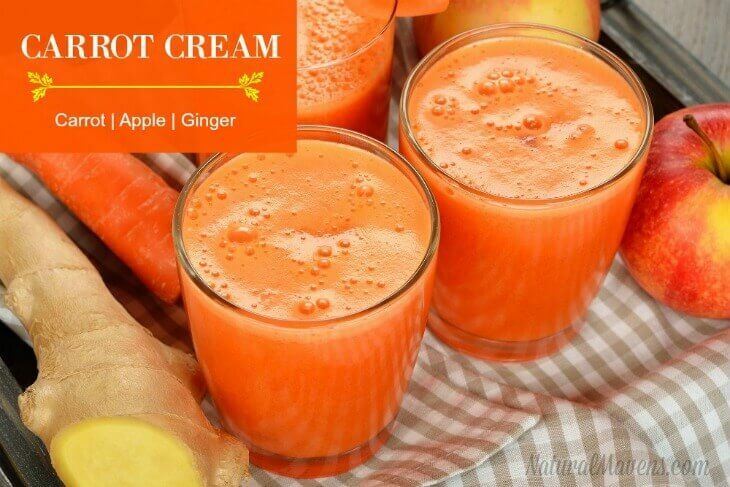 Tastes great and fights inflammation. 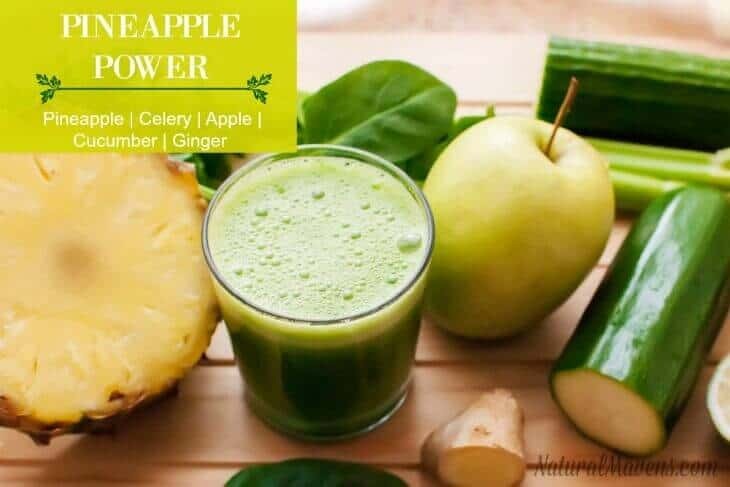 Boasts anti-inflammatory power from pineapple, celery AND ginger. Peel and roughly chop pineapple. Juice all ingredients together and stir. 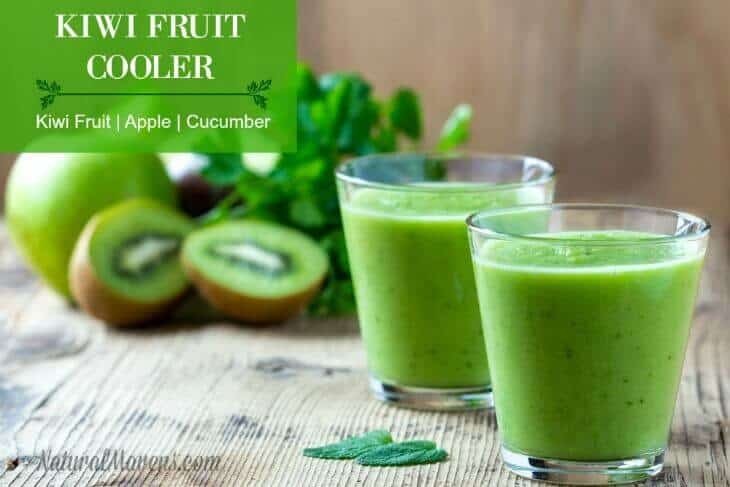 Packed with Vitamin C and soluble fibre. Peel kiwi fruit or cut in half and scoop out flesh. Juice all ingredients together and stir. A crispy juice with a lemon twist. Peel lemon. Juice all ingredients together and stir. 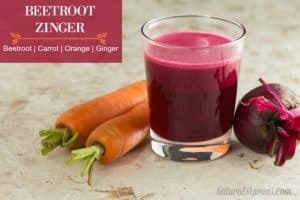 I hope you enjoy trying these simple juice recipes. One of the reasons I love them is because of the need for minimal ingredients that are easy to buy. They really don’t require much preparation which makes juicing so much easier to stick to . Of course, the beauty of juicing is you can be flexible. Feel free to change ingredients around to suit your taste and work with whatever produce is available. Now, it’s time to get juicing!